The KAI Ocean Art Show will culminate on March 15 with an auction of artwork by Patrick Ching to benefit the Kilauea Point Natural History Association. The paintings going to auction are now on view in Princeville, Hawaii, and will remain open for viewing until the auction. 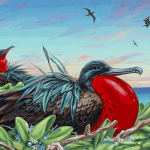 Patrick Ching's work focuses heavily on the local landscape and wildlife of Hawaii, depicting the natural forms and colors of the islands on large, rectangular canvasses. A total of 15 lots will be available, each an original oil painting signed by the artist. Art collectors who are unable to travel to Hawaii for the auction can view all the available lots as well as submit absentee bids online at iCollector.com. A lifelong resident of Hawaii, Patrick Ching received his formal training in Los Angeles at Otis/Parsons School of Design. 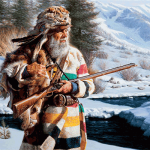 His nature art is widely esteemed and has been featured in many shows around the country. 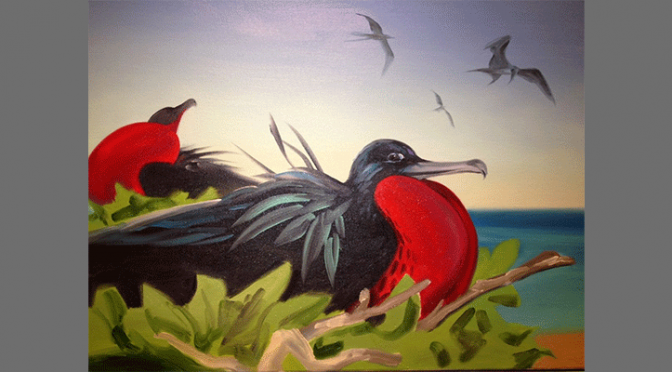 All 15 paintings available at this auction reflect the natural beauty of the Hawaiian islands. Art collectors are sure to fall in love with the jewel-tone blues and greens of Ching's work. "Breach" (lot #10) depicts a humpback whale jumping out of the water into the air. A 36-by-48 inch canvas, the painting captures the drama and movement of such an exciting moment. "Infinity" (lot #11) depicts a pool of sharks in shallow waters swimming in a figure eight pattern. The light from the deep purple sky illuminates the teal of the water before reflecting off the dark grey sharks. "Honu Mana'o" (lot #14) is probably the most polished work in the collection, showing a close-up of a single sea turtle resting at the water's edge. 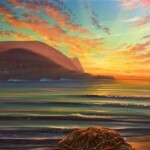 Ching has masterfully rendered the light shining off the wet turtle's skin as well as the crashing wave behind it. Kilauea Point is located on the northern shore of the island of Kauai. The Kilauea Point Natural History Association manages a wildlife reserve on that part of the island to preserve the natural wildlife, which includes migratory birds, monk seals and humpback whales. There have also been efforts here to bring back the Nene population, a goose that is the official state bird of Hawaii. 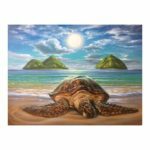 Art collectors can help support ongoing conservation efforts in the Hawaiian islands by purchasing a piece of art from the KAI Ocean Art Show auction. All of Ching's paintings available for purchase can be viewed at iCollector.com.